Editor’s note: The following is probably the most painful article we’ve ever posted. Written by an ex-GI. The man has Post Traumatic Stress Disorder. 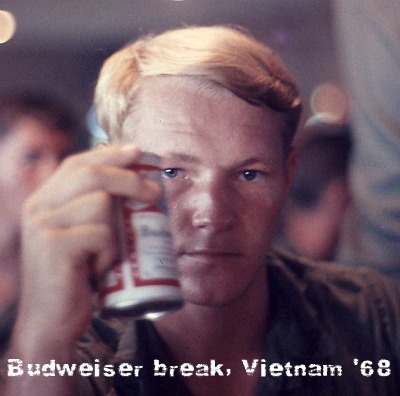 Nineteen months combat, Vietnam. Sergeant, US Marines. Dr. Pierpont has come across research strongly suggesting that people with PTSD are suffering not from “battle trauma” or “battle stress” per se, but “noise trauma” to vestibular organs or to brain centers under vestibular influence—noise trauma associated with battle. PTSD is a form of brain trauma. The US government has known this for years. Indeed, much of the research was done by US military scientists. If she can ever squeeze enough “spare time” out of her medical practice, Pierpont will publish her research into this. Meanwhile, we are finding that a good many people reporting WTS symptoms are, unsurprisingly, combat veterans diagnosed with PTSD. I am someone who has been on both sides of the mental health fence. I lived 35 years with undiagnosed, chronic PTSD (Post Traumatic Stress Disorder from 19 months combat in Vietnam), followed by seven years of intensive, twice/week therapy. By 2008 I was doing very well, to where I felt I possessed a new life, with grandkids, a secure retirement, a great place to live, my garden. I volunteered for Habitat for Humanity, and my wife and I were in travel mode. Then along came Falmouth’s Wind Turbine # 1. Within one month I was in a deep depression. My main counselor wrote a letter for me. It is enclosed. It all comes down to my not being able to stand the sounds from the turbine. It absolutely drives me crazy. When it is not running, there is the fear of when it will start up again. I left my home for the month of August, to come out of that depression. Now, I totally avoid going outside on my own property. Every article I see in the local newspaper about suicide makes me think—makes me wonder—if any of you really know how, at the same time you’re trying to prevent something, you’re also contributing to it. l am not the only one who has had suicidal thoughts triggered by Falmouth’s turbine. It is best, here, if I do not mention the other person that I know of, but if you really wanted to know, I’m sure her husband would give you a call. There actually are studies that show the suicidal inclinations of a percentage of persons living too near industrial wind turbines. Just my 3 cents worth—because, to some of us, it really is that bad. Within the 3 km radius of the 18 IWT’s of the Clear Creek/Cultus/Frogmore IWT ZONE there has been one unsccessful as well as one successful suicide. Of the >70 people who signed a petition that they were affected by the IWT’s, there may have been suicidal thoughts, but given the stigma attached to the idea, the ~ 75% of residents here who are of the Mennonite persuasion DO NOT reveal these thoughts! My way of handling this hellish situation is to try to find something to be grateful for every hour on the hour. This may seem Pollyanna”ish”, but it helps me to keep going and doing what seems at the time to be best to keep others from having to exist in the midst of IWT’s. Please do what you can to prevent the same fate from happening to others. Do what you need to do to stay well.